DAR-ES-SALAAM – To show growing interest in East Africa, China’s state-owned and private enterprises have, today Monday November 26, opened a new commercial bank in Tanzania’s capital, Dar es Salaam. The bank, China Dasheng Bank Limited (CDBL), a fully-fledged commercial bank is the newest player in the country’s banking sector. The Bank targets to tap into the growing Chinese businesses not only in Tanzania but also the East African Community in general. It will also serve local individuals and business enterprises. 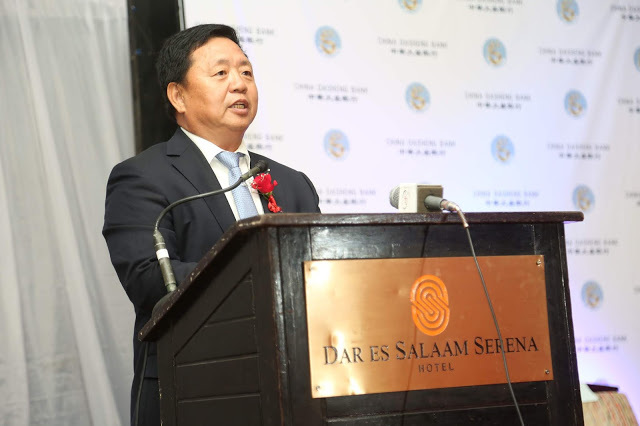 According to the Bank Board Chairman Ji Jiaqin who spoke to reporters in the Tanzanian capital last week, CDBL is entering the market with an initial capital of 40 million US dollars. Presently, China is increasingly becoming a major source of Foreign Direct Investment in the East African region.